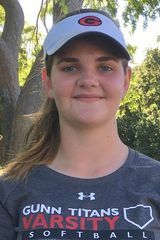 The senior competed in the Sacramento Meet of Champions on Saturday and raced a personal best 14.64 in the 100 hurdles, ranking her second in the Central Coast Section. She also raced 47.57 in the 300 hurdles. 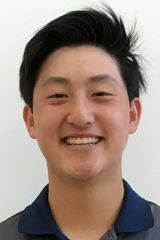 The junior earned medalist honors, with a career-low 3-under 69, at the St. Vincent Mustang Invitational last week at the Marin Golf and Country Club, leading the PAL Bay Division champion Bears to the team title. CCS qualifier at Menlo 1:30 p.m.
Woodside, Menlo-Atherton at PAL Championships (Trials) 3:30 p.m.
SCVAL De Anza Trials at Palo Alto 3:30 p.m.
South San Francisco at Menlo-Atherton 4 p.m.
Menlo-Atherton at Burlingame 5:30 p.m.
WBAL finals at Sacred Heart Prep 8 a.m.
CCS qualifier at Menlo 12 p.m.
Stanford at Pac-12 Tournament (Eugene, Ore.) 1 p.m.
Menlo-Atherton at El Camino 4 p.m.
Milpitas at Gunn 4 p.m.
WBAL trials at Sacred Heart Prep 4 p.m.
Palo Alto at Menlo-Atherton 7 p.m.
SCVAL De Anza Finals at Palo Alto 1 p.m.
PAL trials at Menlo-Atherton 4 p.m.
Arizona at Stanford 6 p.m.
WBAL finals at Sacred Heart Prep 9 a.m.
PAL finals at Terra Nova 10 a.m.
PAL finals at Menlo-Atherton 1 p.m.
View Recent Video | Upload Video Upload sports video clips of up to 4 minutes to your YouTube account and then link to them from this site. To create a link on this site to a YouTube video, go to "Sport Scores" and find the game your video clip(s) were from. Then use the form to enter the YouTube link and a caption. Your video will then be added to our video sports library. If there isn't a score posted yet for that game, simply select "Post a Score" and report the score as well as enter the YouTube link. View Recent Photos | Upload Photos Upload sports photos by first finding the game at which your photos were taken under "Sports Scores." Then follow the directions for uploading the photos to our site. If there isn't a score posted yet for that game, simply select "Post a Score" and upload your photos along with the game result.